I had to make a quick run to Akihabara one afternoon (I say ‘had’ because I don’t particularly enjoy going there) to pick up something from ヨドバシカメラ, a.k.a 12 story Mega brain hemorrhage electronic/everything store, for a friend back home. One good thing about walking through the city though is that you get a chance to get shots like this. 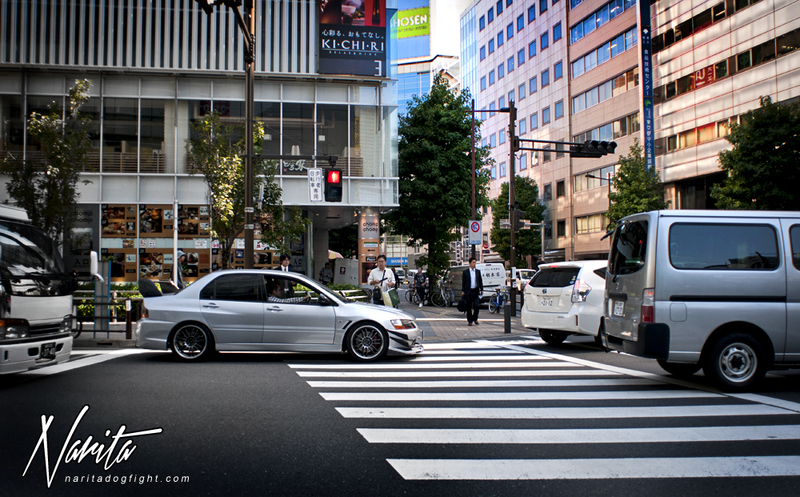 I like seeing tuned cars on Japan’s city streets; it’s such an unusual backdrop for a subject that looks more fitting on circuit rather than waiting at a red light. I caught this mildly tuned EVO9 making a left as I was walking back to the station.